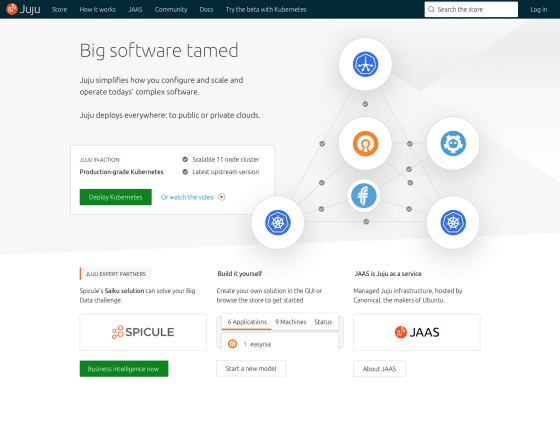 We manage all web projects across Canonical – from www.ubuntu.com to the Juju GUI we help to bring beauty and consistency to all the web projects. Setup an A/B test on blog.ubuntu.com to test different newsletter sign-up designs. The original design can be found in test A and an alternative design in test B. Many updates to legal pages on www.ubuntu.com/legal to adhere to GDPR and a new document regarding modern slavery statements. New takeover for www.ubuntu.com. This is a temporary takeover to direct people to the “What’s new in Ubuntu 18.04 LTS and OpenStack Queens” webinar. User research has been conducted and documented on the new beta site for www.ubuntu.com. A new store feature to highlight verified publishers. The front end work in complete and just awaiting the feature via the API. A project has been kicked off to split the store codebase into modules. This will make it easier to generate branded stores. The services developed so far are the snapstore API and the store page module. Design work has been done to surface edge and beta snaps in the search results. New design/wireframe for displaying categories on the store page. The team have to reviewing and creating guidelines for page backgrounds to bring some consistency. These guidelines will be on the new design.ubuntu.com site in the near future. All Vanilla patterns have been reviewed to match the Vanilla design specs since the release of v1.7.0 had some large changes. New Vanilla documentation styling which brings major improvements to the sidebar navigation and new documentation landing page. 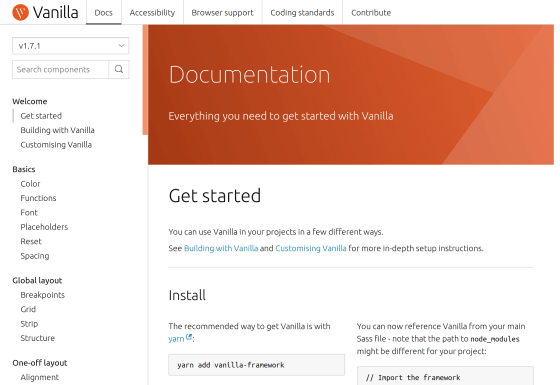 An update to the vanillaframework.io homepage banner to bring some colour and align with the documentation. Our https://partners.ubuntu.com website had an issue where the admin section was unreachable. A fix has been deployed and we have back up and running. We team has spent most of this iteration developing a new internal review application. Our designer has been developing an improvement to our application typographical heading hierarchy. We feel the default h1, h2 styling is to large to an application but works nicely on a brochure website. Soon the headings will be updates. Many updates to maas.io for the 2.4 release. Including updates to all screenshots and the new maas initialisation command. Work has begun to migrate jujucharms.com to the latest Vanilla framework. Currently it to on the deprecated cloud theme. We are moving quickly and releasing page by page. Some design work has taken place to improve the homepage of jujucharms.com. The brand team have been hard at work producing a number of datasheets and creating graphics for upcoming events. Released documentation for MAAS 2.4. This was a significant piece of work, as GUI changes meant redoing nearly every screenshot in the documentation, as well as changes encompassing the new features. Prepared documentation in advance of CAAS landing in Juju. Migrated the Juju documentation from the jujucharms site to docs.jujucharms.com . Updated the landing page for tutorials.